Di Prisco can see even the most heartbreaking events in his life with a dysfunctional family through the lens of a lively sense of humor. 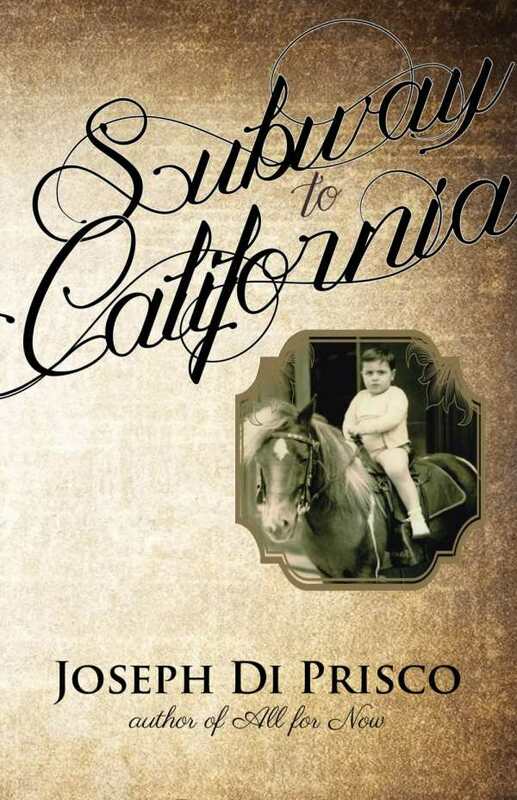 In Subway to California, Joseph Di Prisco manages to make a memoir read like fiction as he chronicles his chaotic childhood amid his dysfunctional family’s adventures and tragedies that begin in Brooklyn and continue in California. His desire to break free and rise above the fray, and to understand his life’s journey, is at the heart of this entertaining and often tragic account. Di Prisco’s story begins with his memories of the day in 1961 when cops showed up at his grandparents’ farm in the sleepy town of East Islip, New York, to question his father, Popey. He’s a compulsive gambler, a teamster, and a member of a crew whose specialty is bookmaking. Popey escapes and, at age thirty-five, winds up in California, where his wife and two of their sons eventually join him. There, the young Di Prisco begins a new life, ditching his Brooklyn accent, embracing and then rejecting the life of a Catholic novitiate, and embarking on a college career. So far so good. But there is a flip side to Di Prisco—he dabbles in professional blackjack, snorts cocaine, and becomes entangled in a federal racketeering investigation. All these detours and mishaps miraculously lead him down the road to his true calling. Di Prisco’s love and knowledge of literature shines through with liberal references to various works by Steinbeck, Flannery O’Connor, Dickens, Nabokov, and many others. On returning to Brooklyn to bury his mother, Di Prisco reflects: “I will take instead some of Evelyn Waugh, from Brideshead Revisited: ‘These memories, which are my life—for we possess nothing certainly except the past—were always with me.’” These literary asides dovetail smartly into whatever adventure or calamity he happens to find himself. They also move the story along when it occasionally gets bogged down with too many details, such as when he’s grappling with his faith and the tenets of Catholicism. Taking a seat on the airplane also poses a challenge. I arrange and rearrange the carry-on and the book and the headphones, the carry-on, the book, and the headphones. Carry-on, book, headphones. Carryonbookheadphones. People who have been unlucky enough to play the role of my doomed travel companions order cocktails early and often. For this reason alone, they should earn triple miles.